Picking the right email service can be a demanding task, but knowing which features to search for, makes the process much simpler. Since not all email platforms get developed with the same features, it’s important to go for one that resonates well with your needs and preferences. Otherwise, a poor email service may put off potential customers and significantly hurt your bottom line. Therefore, it’s critical to think hard and carefully evaluate all the factors, when selecting an email account for your firm’s needs. Here are six key questions to ask before settling on a cloud email platform. 1. What Goals Does My Business Want to Realize With an Email Service? Clearly outlining your needs and goals can assist in choosing the best cloud email services for your business. If the objectives are modest, and all you need is a primary email platform for sending and receiving just a few emails per week, the selection process isn’t going to be the same as someone who has thousands of customers. Compare the features offered by an email service provider against your business’ goals. And, ensure the provider has sufficient features to meet your needs now and in the future. For example, if you’re in the online retailer business, with an objective to drive sales via email, consider going for Google Apps or Zimbra. Both email services are excellent for creating highly-convertible, email-based campaigns. Or, if you run an events-based business with multiple office locations, and need a solution that can easily interoperate with an existing email infrastructure, go for Cisco’s WebEx Mail. Go for a service that fits into a budget and will meet your business needs without breaking the bank. If you choose a cloud computing email service that charges more than you can afford, failing to meet expenses will significantly deteriorate a business’s growth. Similarly, going for a free email service to save on costs, can also hurt your brand, serious customers hardly trust businesses with general email addresses. And secure a branded email address, like [email protected], for around $5 per month. A branded, personalized email address will assist in enhancing the perceived credibility of the business, which in turn ensures you maintain a competitive edge. Most cloud-based email providers offer a free trial period or free service, which can be used to gauge whether the service suits your needs. After that, you can sign up either for the monthly or pay-as-you-go payment options. Monthly prices can be determined based on the number of subscribers to your email list, the amount of storage allocated, or other factors. If you are not ready to make a monthly commitment, go for a provider with a pay-as-you-go model, and pay only for what you use. If you are not ready to make a monthly commitment, go for a provider with a pay-as-you-go model, and pay only for what you use. 3. How Much Storage Space is Offered? Another important factor to consider is the amount of expanded storage for emails and other documents. A service with limited storage space will force you to delete potentially important messages whenever the inbox gets full. When running a business that depends heavily on emails for communication, and archiving messages takes precedence over removing them, having an inbox that fills up quickly can be problematic. So, the amount of space available is important. There are also other few related issues to take into consideration. For instance, the maximum size allowed for an email attachment differ from one provider to another, with some providers limiting attachments at 10GB. While others, enable users to send documents of up to 300GB, as long as the documents have been uploaded to the cloud. 4. How Secure is The Email Service? The best cloud email services come with tight security, designed to ward off fraudulent and unauthorized activities. With a proper email protection mechanism in place, you can effectively keep a business inbox safe, especially if you’re running a business that involves the exchange of sensitive information. Cloud email services that are vulnerable to leaks can lead to massive financial and reputational losses. For example, the Sony email hack of 2014 lost the company more than $100 million. And, according to a recent survey, hacking attacks result in small businesses losing an average of $8,700 per year. Therefore, ensure you go for an email platform that uses advanced techniques to safeguard its infrastructure and users’ information. Should all be supported. Furthermore, a vulnerable platform can lead to email downtime, which will severely hurt your business. It is important to find a cloud-based email service that guarantees an uptime of at least 99.9%. To ensure your data is backed up appropriately in the cloud and is maximally available, settle for an email service with redundant servers in multiple locations. The service should have data loss prevention strategies and a team of dedicated experts continuously monitoring their servers for any issues. 5. Is The Email Service Easy to Use? When choosing a cloud email service, opt for a solution that is simple to use and works for you, rather than against you. A complicated email platform with a complex interface will not provide the flexibility needed to complete work promptly. There’s nothing worse than a muddled business email inbox, which cannot facilitate sorting through messages quickly. To ensure there is no loss of formatting or content, select a service that enables email campaign previews on different platforms and devices. So you can quickly make any changes before clicking the send button. Furthermore, you need a provider with excellent customer support, to offer prompt assistance whenever necessary. The best services provide round-the-clock email, live chat, and phone support. 6. What Other Bonus Features Are Offered? After you’ve selected a cloud-based email service that covers all the basics, look out for extra beneficial features that can increase your business’s productivity. Most cloud-based email providers, such as PanTerra Networks, offer free, built-in analytics and reporting tools, which can assist in crafting engaging and high-converting email campaigns. Also, the best cloud email services include additional features to help users collaborate with employees or colleagues. For example, Microsoft Exchange Online comes with Office 365 Groups, which allows teams to work together and share ideas quickly. Here are some of the key advantages of adopting a cloud-based email service. The opportunity to save on costs is perhaps the most significant advantage of using cloud email services. Every business exists to make a profit while keeping expenses as low as possible. With the best cloud email services, you can reduce significant capital costs and incur minimal in-house server storage and application expenses. Traditional email services usually require on-premise infrastructure, which results in substantial operational costs, often running into thousands of dollars. On the other hand, using a cloud-based email provider frees you up from exorbitant operational and maintenance costs. Furthermore, moving your business email activities to the cloud can result in increased efficiency and productivity. Instead of spending a lot of time fiddling around with email issues, your IT staff can focus their energies on things that matter, like the growth of your business, and coffee breaks. Cloud email services offer improved and uncomplicated IT management capabilities. You won’t need to worry about complicated installation instructions, constant server maintenance, or other intricate stuff. More so, you can get sufficient data storage that makes it easy to manage emails. I’ve experienced the woes of a limited email storage system and didn’t like it at all. I used to spend about 20 minutes a day scouring my emails to free up space for new, more important ones. If you’re working with huge files on a daily basis, a storage limit of 500MB is but a drop in the ocean. Everyone dreads losing important files when disaster strikes, including me! Think about it for a minute — a failure occurs and wipes every file and contract agreements stored in your email archives, how would such an incident affect your business’s bottom line? With a cloud email service, software or hardware related disasters will not harm or delete any emails. Did you forget a work-issued laptop at home with important emails? No problem—just sign-in from any device and resume business as usual. When emails are stored in the cloud, recovering data becomes an easy and worry-free affair. Furthermore, the best cloud email services have implemented the latest security standards and industry certifications, to guarantee the safety of their clients’ data. Cloud-based email apps can help you maintain a competitive edge against rival businesses who are still using old-school, limited emails systems. Besides the increase in efficiency, cloud email services enhance collaboration among colleagues and employees. People working in a team can instantly access the latest update on a project and respond appropriately. What’s more, you’ll have access to video chatting and conferencing capabilities, alongside high storage capacity for enhanced communication within a business. Consequently, with better communication mechanisms, customer relationships will be improved, and result in increased revenues for your business. With the right service provider, you can maximize the benefits of cloud-based email technology and substantially escalate the growth of business. In this section, I’ll review five of the best cloud based email services, which can be used to take your communication efforts to the next level. Previously known as Google Apps for Business, Google Apps for Work offers a suite of cloud-based office tools for a business of any size. Mainly, its email, messaging, and content-sharing services provide a powerful way to maintain vibrant and fast communication within the workplace. What I like about Google Apps is its rich collaborative tools, such as Google Docs and Google Hangouts, which enable seamless completion of projects between teams. On the other hand, I’m not pleased with Google’s complicated logging in process and difficulty in managing different business email addresses. Nonetheless, if you’re looking for a cloud-based email service that’s reliable, offers an extensive range of business-specific features, and is cost-effective ($50 per user per year), then Google Apps is worth trying out. If you’re looking for a cloud-based email platform that can customize solutions according to your specific needs while ensuring communications are maximally available, then go for Microsoft Exchange Online. Plans are available to users. The latter comes with more additional features, such as data loss prevention and unlimited storage, and is suited for businesses with significant communication needs. Notably, Microsoft guarantees a 99.9% uptime availability for Exchange Online. I find the Microsoft Exchange Online payment model to be inflexible since it requires a user to commit to yearly payments. The payment model may prove to be expensive, especially if you decide to discontinue the service before the year ends. 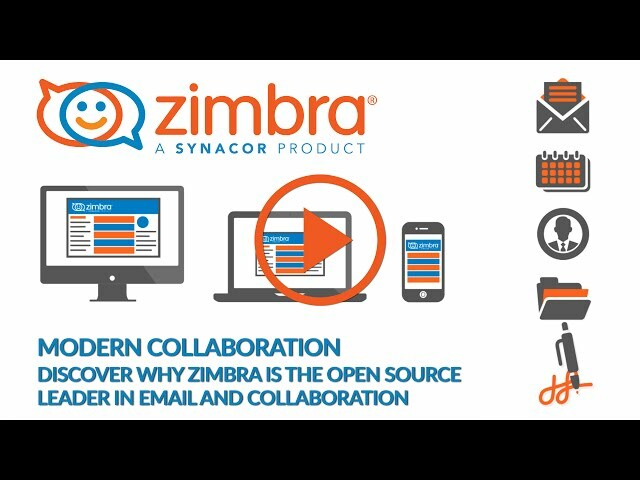 If you’re searching for a free cloud-based collaborative service with more modern, less proprietary view of communications, then Zimbra’s open source edition could be your ideal choice. On the other hand, I think Zimbra’s search function, which struggles to find old emails, is behind the times and needs a major overhaul. 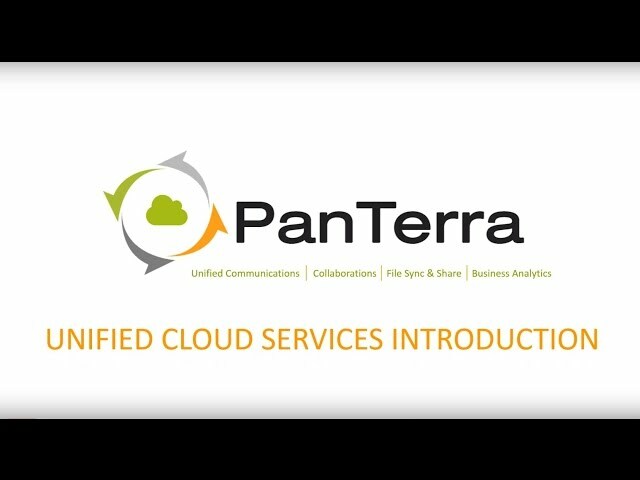 PanTerra Networks offers efficient and cost-effective, 100% cloud-based solutions, designed to assist businesses in making focused email communications. For example, the company’s SmartBox solution provides a robust collection of built-in unified communication and collaboration tools, which maintain a business at peak performance levels. I’m a big fan of the company’s ability to incorporate a host of practical features in its products and provide customers with robust solutions. However, I think the company’s products are slightly overpriced, and may not appeal to the average user. For example, if you run a small business, the SmartBox solution will cost $15 per user per month. The other products get priced according to client’s’ needs. Nonetheless, if cost is not a major factor, and you need an entirely cloud-based email service to enhance your business’s communication capabilities, then PanTerra Networks might be suitable. Are you looking for a robust platform for real-time web communications? Are you looking for a flexible solution to hold hassle-free online meetings? Do you need screen-sharing and video conferencing facilities for business meetings? If you answered ‘yes’ to any of the above questions, then Cisco WebEx should suit your needs. I’m particularly impressed by WebEx’s ability to interoperate with existing email infrastructures, which reduces interruptions during the transition to a hosted email solution. For example, every person invited to a meeting via email gets included in the contact book, which can be imported seamlessly from various sources, such as Outlook and Google Apps for Work. On the other hand, WebEx’s pricing is relatively high and may discourage average users. The basic premium version costs $24 per month and allows up to eight people meetings. Nonetheless, before committing to the paid plan, try out the free version for 14 days to see if it works for you. The free version gives 250MB of online storage and allows for up to 25 people meetings. With the current rapid advancements in technology, an efficient email service is necessary for businesses to meet today’s challenging communication demands. The best cloud email services will enable you to manage communications efficiently, quickly retrieve data in case a disaster occurs, and gain a competitive edge in the marketplace. In this article, I’ve reviewed five cloud-based email services you can use to succeed while working at the almost instantaneous speeds that characterizes the modern business process. So, which one is better? At the day’s end, the service you choose will depend on whether its features resonate well with your business goals. If you’re cost-conscious and just want a simple email service, then consider choosing Zimbra’s free open edition. You can also migrate to the paid version if extra features are needed. On a practical level, PanTerra Networks’ rich unified communication tools and availability of live support outstrip Google’s limited collaboration tools, and Microsoft’s limited support options. However, only choose PanTerra Networks if you can afford it. In terms of having a versatile video conferencing facility for online meetings, Cisco WebEx clearly has an edge over the rest—although its costs may not be very pocket-friendly. As for me, I would side with Google Apps for Work, and say that it’s a better overall product in terms of affordability, storage space, ease-of-use, and security. Do you have any experience with cloud-based email service for business? Please, share your thoughts in the comments section below, and thanks for reading! Alfrick is a highly committed and results-obsessed technical writer with deep passion in producing clear, concise, and high-quality content that makes complex information easy to understand. See me as a technology enthusiast with a keen eye on making the latest developments in the industry feasible, decipherable, and known to all. CrashPlan vs Acronis True Image Cloud: What’s The Best Cloud Backup?